Nearly a year ago, I was anticipating a modern re-creation of Choplifter. The game, developed by inXile and published by Konami, is the latest sequel in the franchise created by Dan Gorlin with his original Apple II action game. 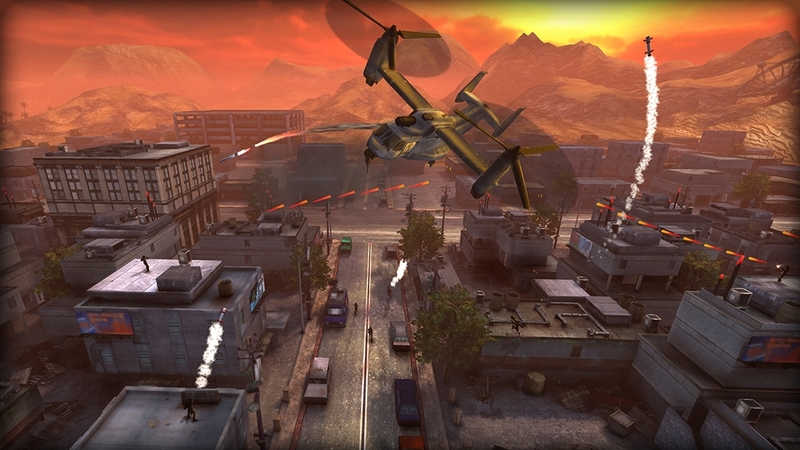 Choplifter HD finally saw release this week and is available at a $15 price point for PC, Sony PlayStation 3, and Microsoft Xbox 360. 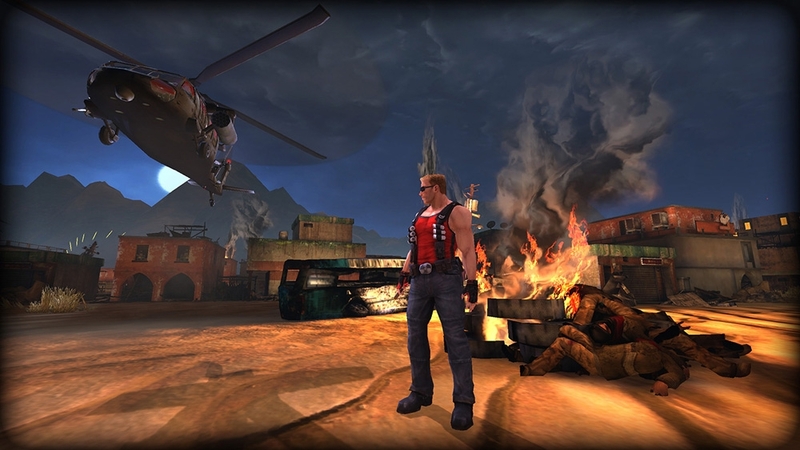 I grabbed the demo of the Xbox version and played it last night on what I presume was an inbuilt timer, completing 6.5 missions in the time allotted to me. So far, I like what I see. 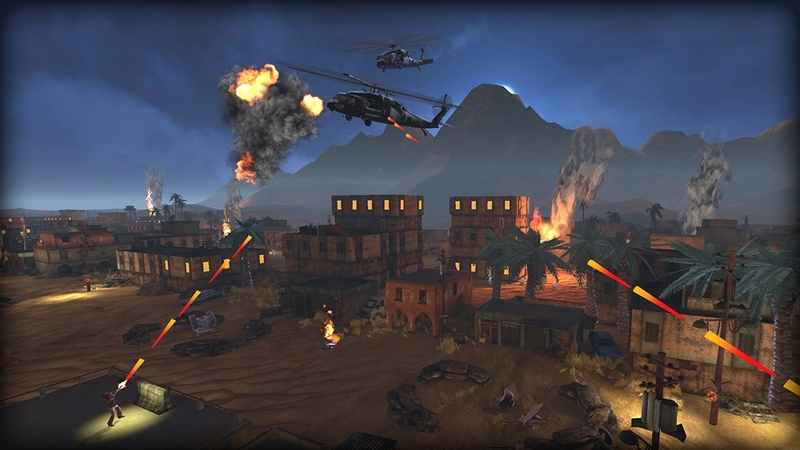 The missions start of familiar: rescue soldiers and bring them back to base. But there are some clever variables, such as wounded soldiers who require medical attention and must be attended to before all others. 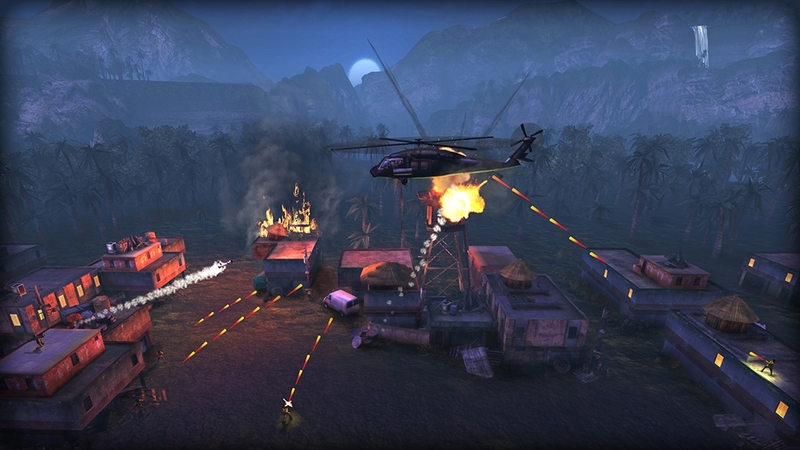 Later missions require defending a particular point or containing a zombie outbreak. 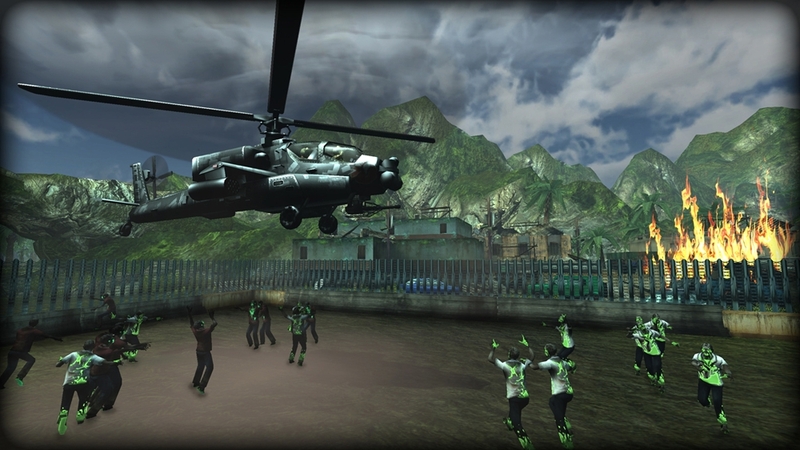 Choplifter remains 2D, distinguishing itself from the nonlinear Strike series of helicopter games. 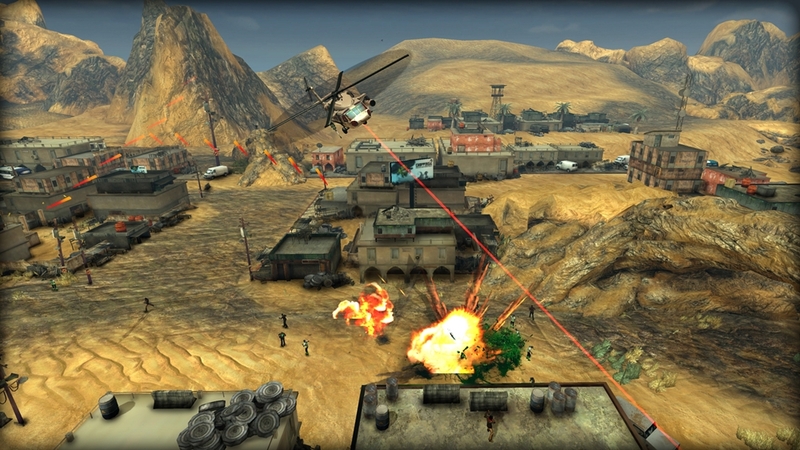 But there are times when enemies can be in the foreground, and the chopper must be oriented to face the screen in order to shoot them. 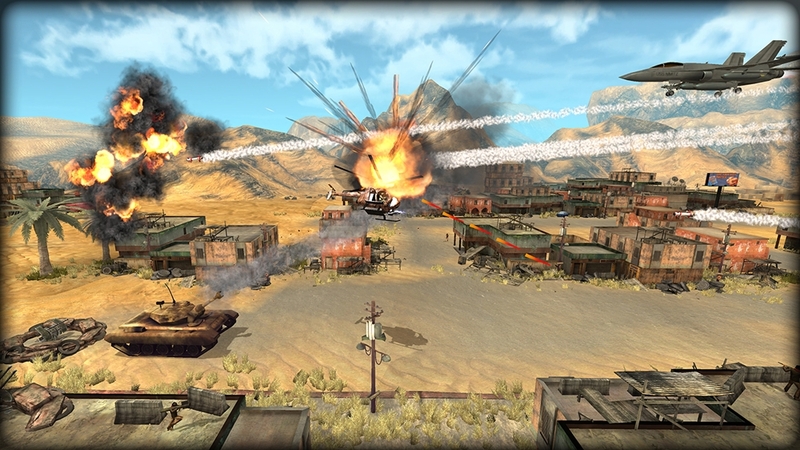 This cumbersome act balances the newfound control over the minigun, allowing it to be aimed in any direction separate from that in which the helicopter is moving. No more moving forward and fast just to attain a downward trajectory! 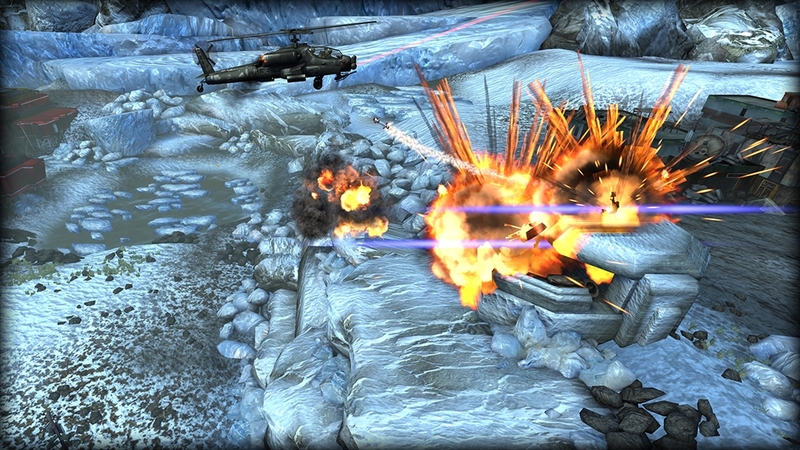 There's also a "boost" function for evasive maneuvers, but it burns fuel quickly. Landing back at HQ will restore both your health and fuel; depots scattered throughout the level recover only the latter. 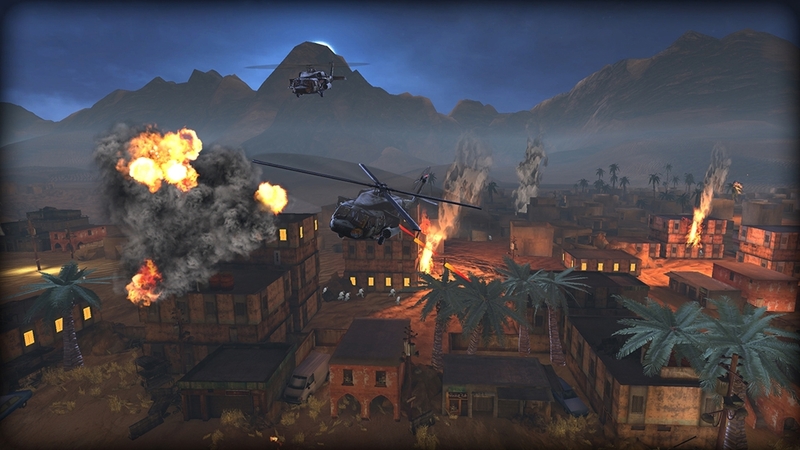 Completing objectives earns you better helicopters, but they replace the old ones; there doesn't appear to be a choice of copters between missions. 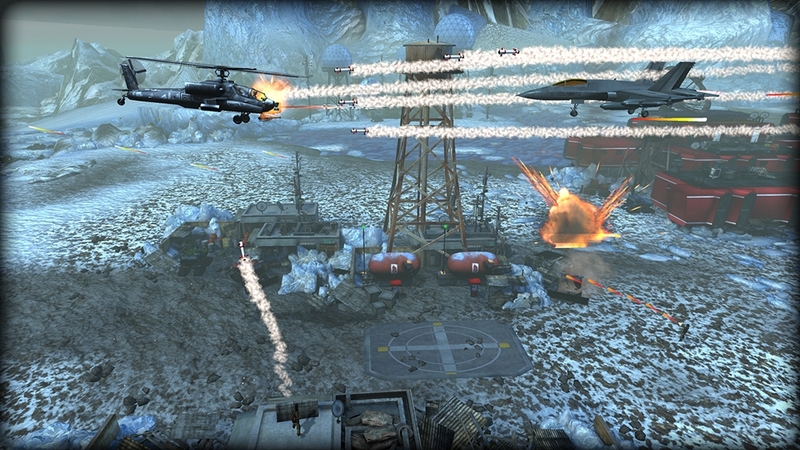 I've played other games in the Choplifter series but remember the original best, so it was a pleasant surprise to note the excellent graphics and soundtrack in this reboot. The terrain varies from cities to deserts, each bustling with its own kind of activity. When you land, soldiers and hostages don't just disappear into your vehicle but will actually run around to either side to find an open seat. They shout such corny lines as "It's good to see you!" whereas a film crew might ask, "Get me out of here quickly — but watch the hair!" This attention to detail is noticeable, as is the game's quirky humor, reminding you that you're here to have fun, not reenact a war. My time for gaming these days is limited, so I don't know if I'll be plunking down the $15 for the full game and its 80+ missions. But all other reviews are positive. I encourage retrogamers to check out this cross of old and new and enjoy the best of both worlds.